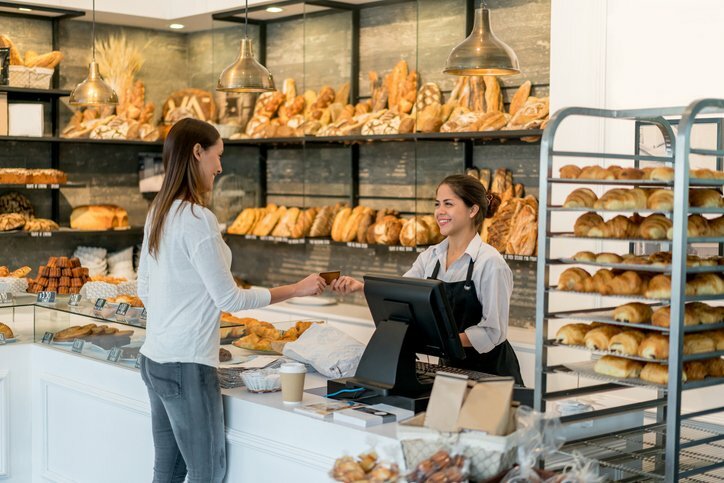 When a popular bakery in London was experiencing extremely high temperatures in their kitchen and café they contacted Andrews Air Conditioning in search of an effective cooling solution to help restore desirable temperatures. The client in question was struggling to create their unique pastries and bread due to excessive heat within their facility. As a result, our specialists were drafted in immediately to provide the client with a permanent climate control solution to avoid any further complications for the bakery. In order to rectify the issue, our experts recommended and installed an under-ceiling air conditioning system which was used to reduce temperatures in kitchen area. We also installed a separate high wall system in the eating and serving are to keep guests comfortable while keeping the savoury items at the required temperatures. Once commissioned, the air conditioning equipment we supplied worked perfectly and ensured a constant stream of cool air was distributed throughout the building, thereby keeping the kitchen and cafe at the correct temperature and avoiding any further disruption to production. This article was posted in Andrews Air Conditioning Services, Case Study and tagged Andrews Air Conditioning, Andrews Air Conditioning & Refrigeration, under-ceiling air conditioner. Both comments and trackbacks are closed.